Should You Reassess Your Manufacturing Strategy? 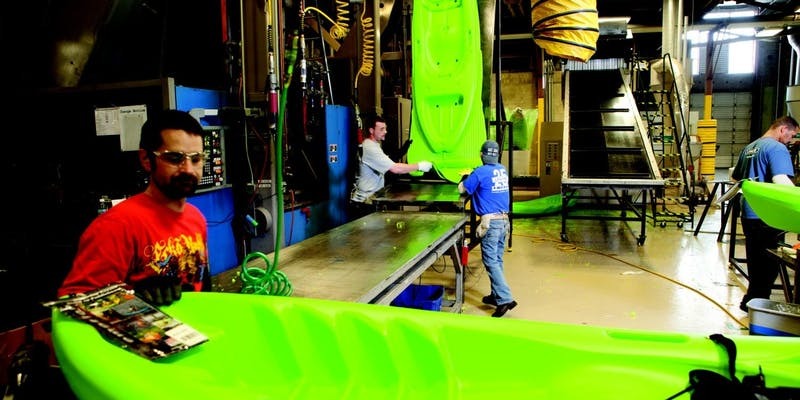 Name: Should You Reassess Your Manufacturing Strategy? Join us for breakfast and an outdoor industry business discussion on Wednesday, August 15 at the Governor's Office of Economic Development. Our panel will discuss the prospects for the outdoor products manufacturer in Utah and delve into issues that your company will want to consider as you reassess your manufacturing strategy for the next 5-10 years. How can you create a strategy that will play up your company's strengths and minimize pitfalls to be competitive in today's market? We'll explore your top of mind questions: Is the tide turning? China's overwhelming manufacturing cost advantage over the USA is shrinking. But is it worth pulling your manufacturing out of China, and to what extent? What are the advantages and disadvantages with keeping it in Asia versus moving all or part of it back to the United States? What advantages are there for moving manufacturing to the US because of the latest advances in automation? What types of contract manufacturing are available here in Utah? This session is sponsored by the Utah Office of Outdoor Recreation (OOR). The Mission of the OOR is to ensure that Utahns can live a healthy and active lifestyle through outdoor recreation. THe Office of Outdoor REcreation is excited to continue our partnership with Snowsports Industries of America (SIA) and EDCUtah to put on the SUMMIT SPEAKER SERIES. This speaker series will continue to dive into outdoor industry issues through education and insider access to industry experts 6 times a year.